The current state of business in the world is one of rapid change and companies are opening up a new front in global competition. The 10th ICSI & GCSI event will publicise theoretical and technological advances in all aspects of systematic innovation, which include but are not limited to product, process, and service innovations. The conference will contain plenary speeches/tutorials by world-renowned researchers/practitioners and parallel technical sessions. It will foster networking and collaboration among the participants to advance theories and practices as well as to identify significant trends for innovation in the digital era. Providing a platform for research, development, and promotion of innovation methods, tools, systems, and applications. Integrating various innovation-related methods such as systematic innovation, TRIZ, deBono methods, biomimicry, analysis of Intellectual Properties, etc., for synergetic usage. Providing in-depth training/consultation/database/tools/knowledge in the fields related to innovation methods. Organizing related experts and organizations for win-win collaborations. State-of-the-art keynotes, tutorials, and invited special speeches by world-class speakers, including Professor Jonathan Linton (the Editor-in-Chief of Technovation), Professor Andrew Lyons (the Editor-in-Chief of the International Journal of Logistics: Research & Applications), Professor Daniel Sheu (the Editor-in-Chief of the International Journal of Systematic Innovation, and Area editor of Computers and Industrial Engineering), Professor Darrell Mann (the Editor-in-Chief of The TRIZ-Journal, CEO of Systematic Innovation Ltd), and Professor Run Hua Tan (VP, Hebei University of Technology), etc. Selected excellent papers will be recommended to submit toward publication in reputable journals such as Technovation, the International Journal of Systematic Innovation, the International Journal of Logistics: Research & Applications, and Engineering Design/Innovation Methods areas of Computers and Industrial Engineering. Papers are subject to peer reviews. GCSI provides an excellent platform and global recognition for your outstanding innovation projects in the International Arena. ICSI/GCSI provide excellent networking opportunities for researchers and practitioners to learn from one another and world-leading experts in the field related to innovation methods. 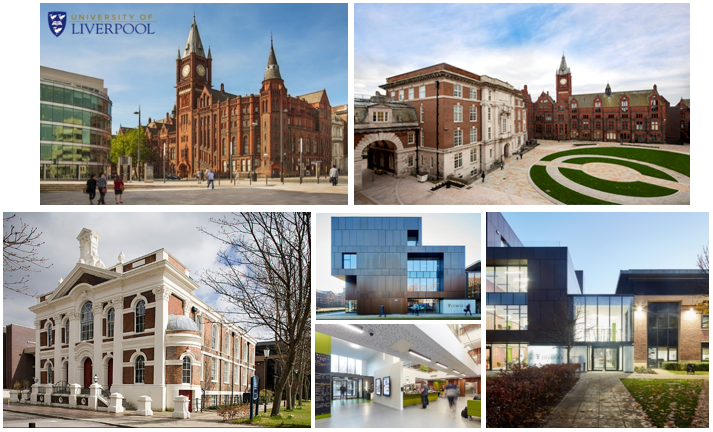 First 40 paid international registrants can enjoy a one-day free tour of beautiful Liverpool vicinity which is known as the European Culture Centre. Participants are invited to submit manuscripts based on their conference presentations for possible publication in one of the supporting journals (based on the number of submissions and paper quality) with the intention of publishing a Special Issue that is dedicated to the 2019 ICSI conference. Only submissions that were presented at the conference by one of the authors may be invited to the Special Issue. The conference organizing committee will issue invitation letters to the best papers presented at the conference. Researchers working in the area of innovation management from academia, industry, government and research establishments as well as doctoral students are invited to submit their abstracts/papers/projects. Other new technologies, theories, and applications related to systematic innovation such as IP/Patent Management or Techniques, Neural Linguistic Programming, Axiomatic Design, VA/VE, Lean, 6 Sigma, QFD, etc. Only on-time, full-paper submissions are eligible to participate in the Paper Competition and be peer-reviewed toward journal publication. To participate in the Paper Competition, choose the paper competition option and select the appropriate category in the online registration process. An international judging committee will blind review the papers for the awards. Interested participants can download appropriate forms and submit their papers/projects on the web site or via email to icsi2019@i-sim.org with subject “2019 ICSI/GCSI Submission” and clearly state whether they want to be considered for the paper competition.